Cancer Diagnosis? Know Your Options! Have you or a loved one recently been diagnosed with cancer? According to the National Cancer Institute, 38.4 percent of men and women will be diagnosed with some type of cancer during their lifetime. Yet there’s hope for this statistic! There are more treatment options available to cancer patients today than ever before, and it’s important to know them. Proton therapy is a preferred choice among thousands of treatment options and clinical trials as the most advanced form of radiation treatment for cancer. Due to its precision, proton therapy reduces risks and side effects, complications, and the likelihood of cancer recurrence. 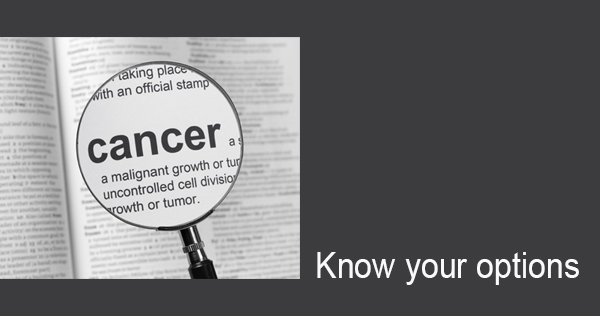 It has become the gold standard for accurately targeting tumors and minimizing damage to healthy tissues. With only 28 operating proton therapy centers in the United States, it is often difficult for patients to know where or how to begin their treatment decision process and learn if proton therapy is an option. Provision CARES Proton Therapy is here to help. Our care coordinators are ready and willing to guide you through the decision-making process. From the very first phone call to Provision, our care coordinators will listen to you and learn about your diagnosis; then gather and evaluate medical records to present to the clinical team to determine if proton therapy could be a treatment option. Once our clinical team determines proton therapy is the right course of treatment, our care coordinators will schedule a consultation with one of Provision’s board-certified radiation oncologists. With the help of a dedicated care coordinator, Provision can make sure you have all the information needed to make an informed treatment decision, so you are equipped to fight cancer and win! Call 855-566-1600 today to speak with a care coordinator.